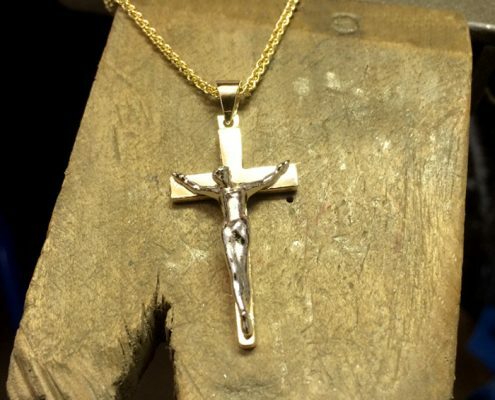 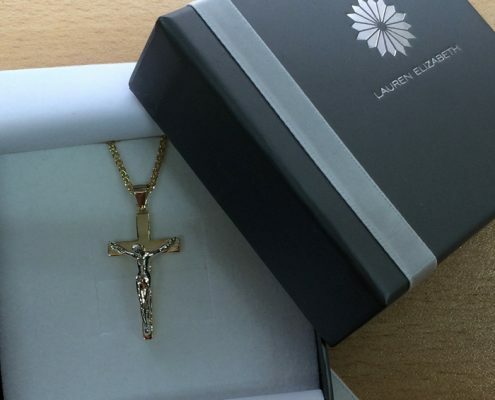 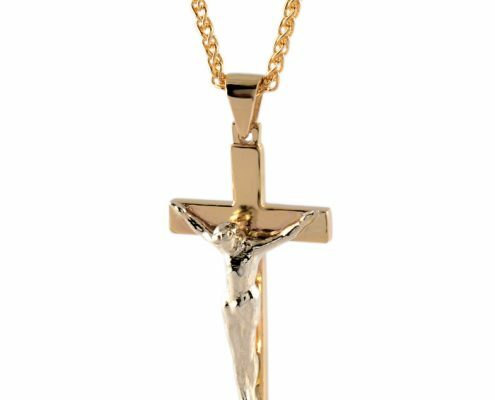 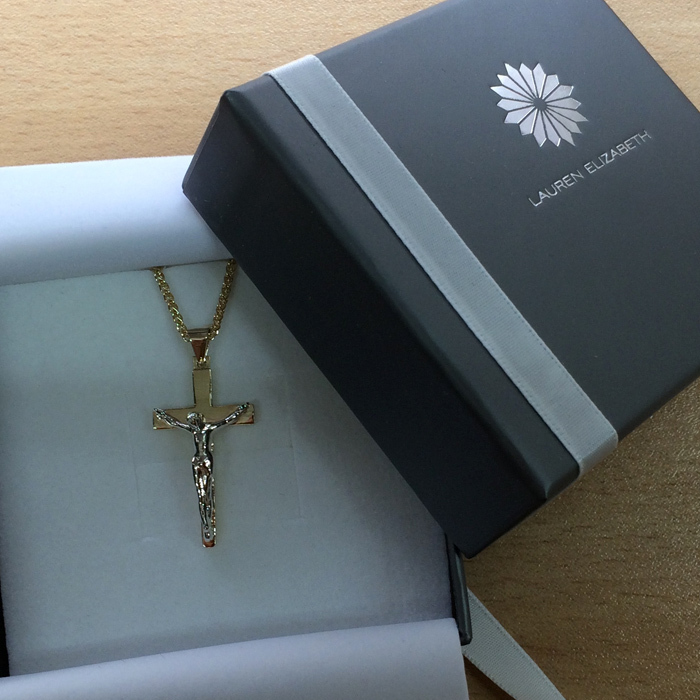 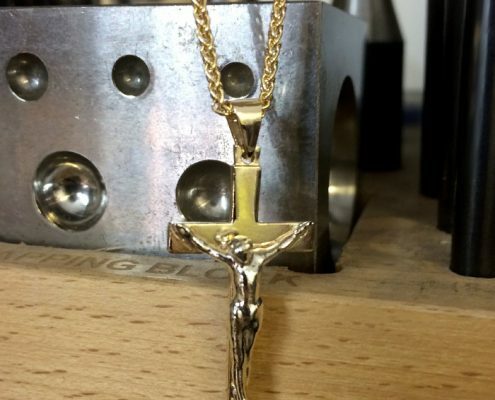 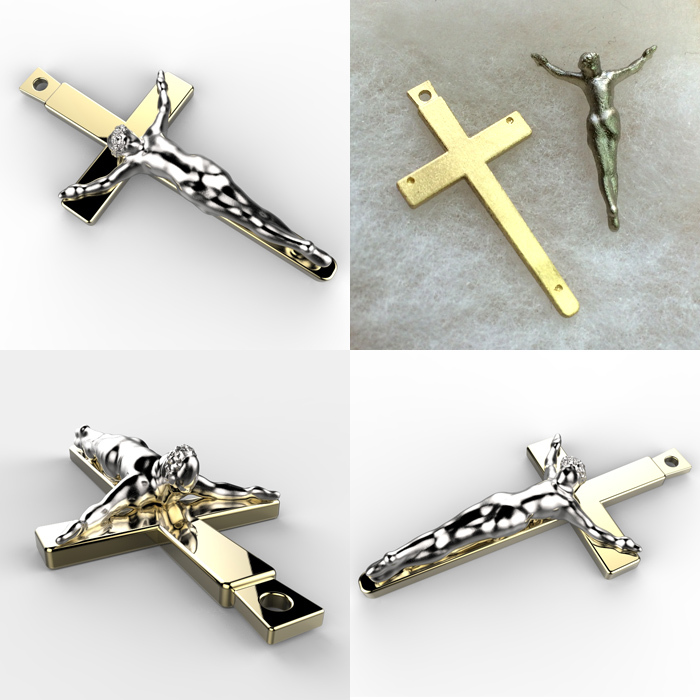 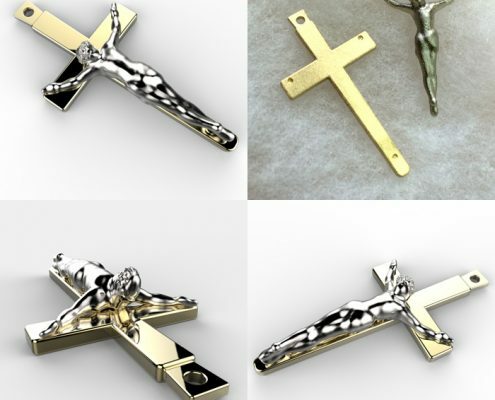 Commissioned as a 60th birthday surprise gift, the brief for this piece was to create a modern and stylized crucifix pendant, without the loss of sympathetic reasoning of what the artefact is. 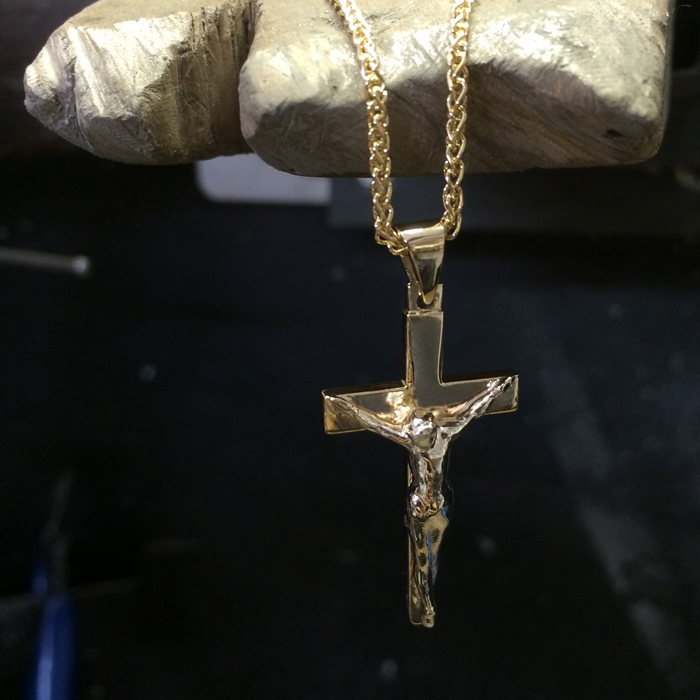 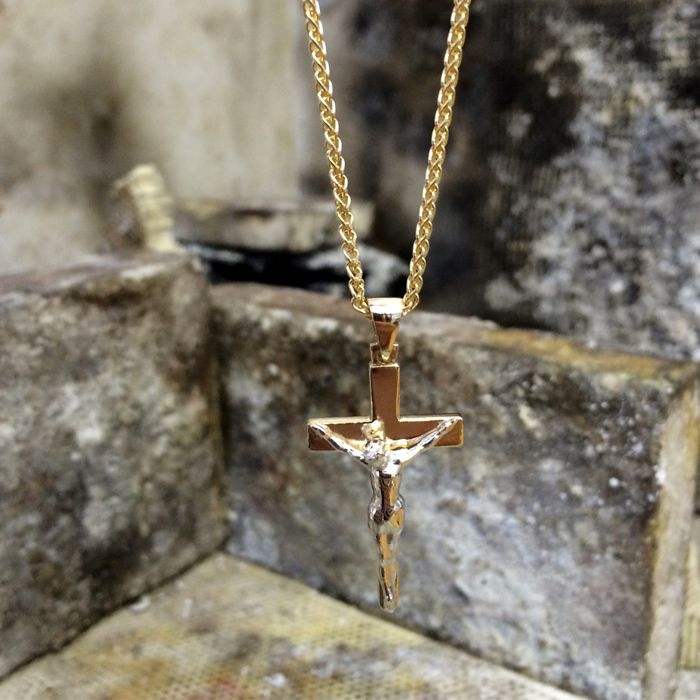 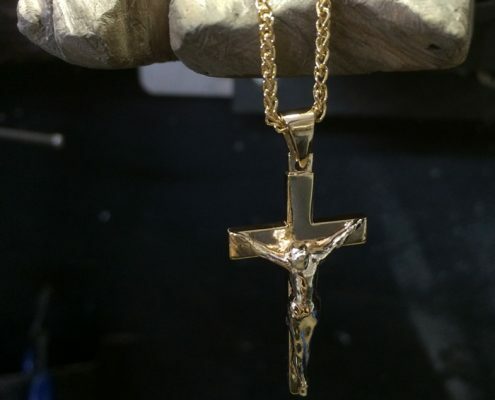 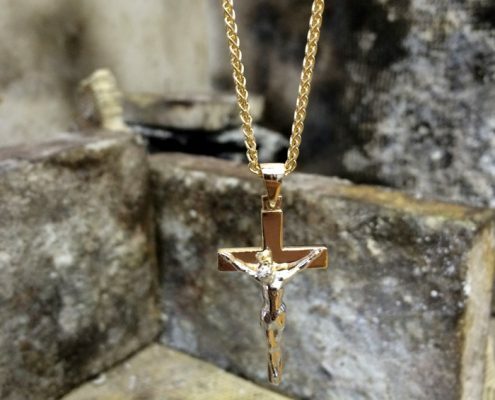 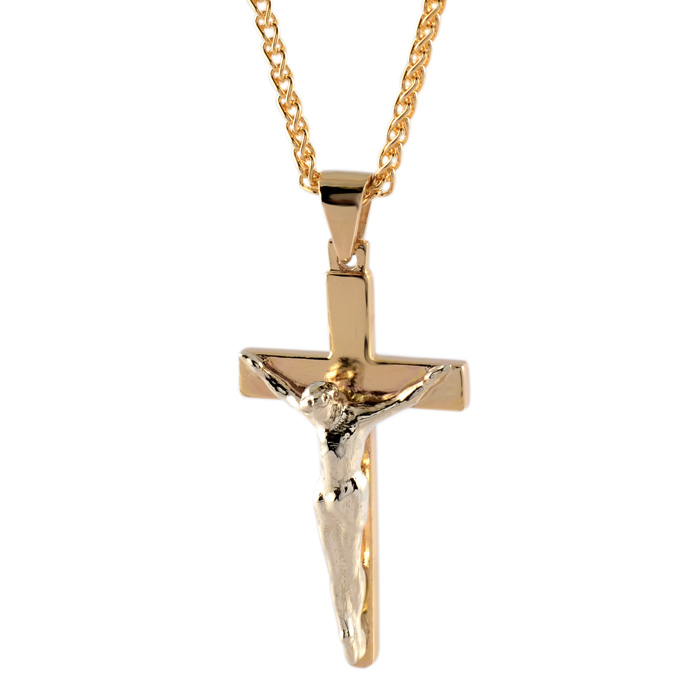 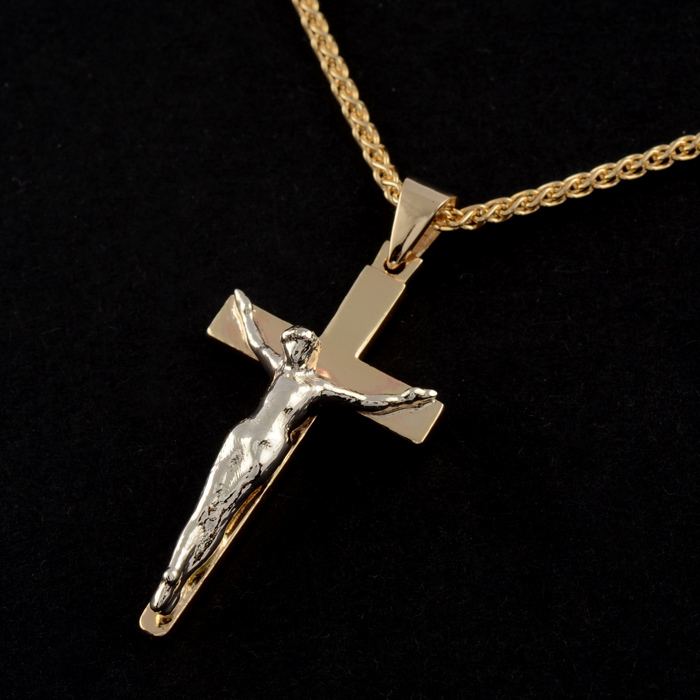 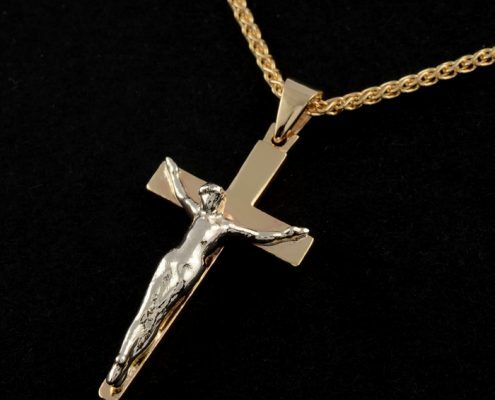 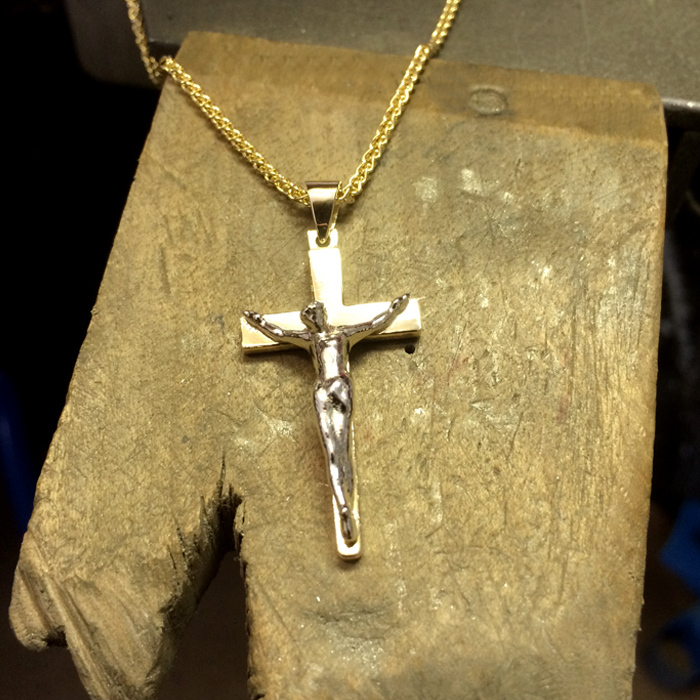 The body of Christ has been resembled in white gold and sits against a contrasting yellow gold cross. 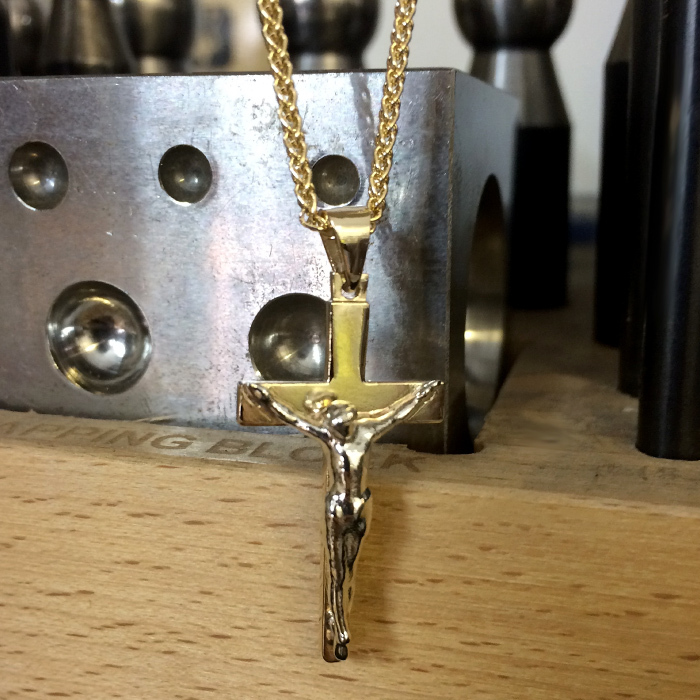 The finished pendant has been highly polished, suspended on a yellow gold spiga chain.